All KUBIK products are available in all colours of the rainbow. Standard colours are red, black and white, but they also come in orange, lime green, purple, azur blue, petrol blue and mist grey. The DALI KUBIK XTRA is the passive sibling of the active DALI KUBIK FREE. 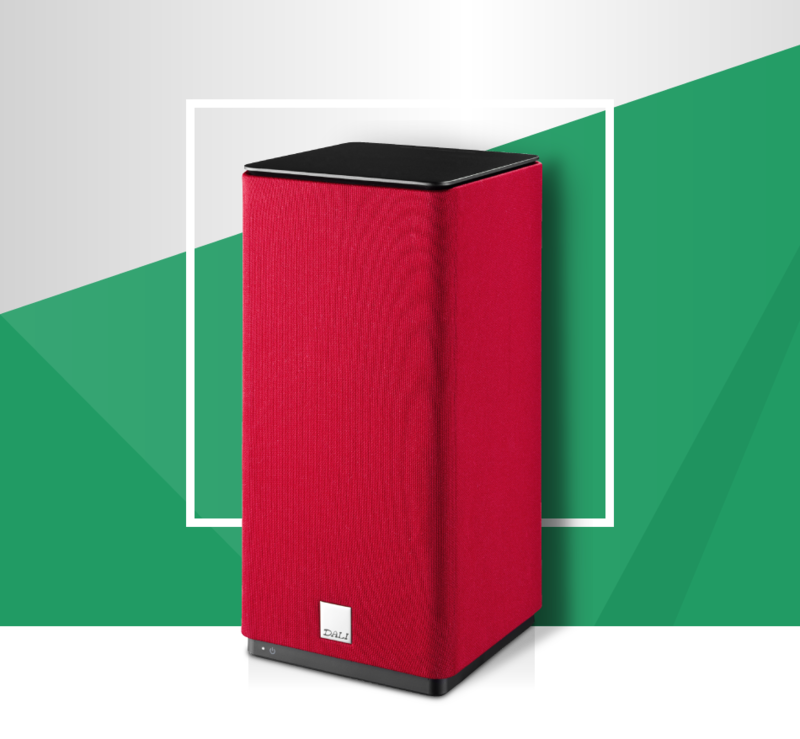 By combining the two loudspeakers, you extend the listening experience into a true stereo performance. The two components can be set up in three different ways: Using the KUBIK FREE on its own as a standalone system, using the KUBIK FREE and the KUBIK XTRA together in a stereo system, or using the KUBIK FREE and KUBIK XTRA together in a two room standalone system. Throughout the development of the KUBIK system, our R&D department had a tight focus on making it very easy to use, clear of complicated setups and at the same time as flexible as possible. To put it very simply, we wanted to build an active speaker that would work one minute after it has been unwrapped, but an active speaker that would last you a lifetime. Connecting a KUBIK XTRA is done via the special 6 wire connector in the bottom of the KUBIK FREE. The connector cable transfer the signal to the woofer and tweeter module individually utilizing the active crossover in the KUBIK FREE, and power the indicator LED for easy access to a visual status check of the KUBIK system. 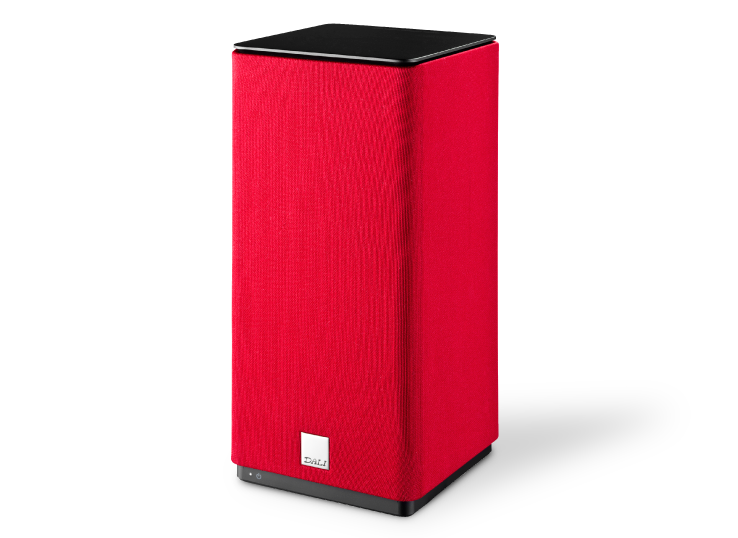 KUBIK FREE and KUBIK XTRA have been designed so that the sound integrates in the best possible way with any room. Both the driver materials and the geometry applied within the KUBIK system have been selected to achieve a wide dispersion pattern in the listening area. This gives you the experience of a well-integrated sound, even when listening at a significant offaxis angle, and as you are rarely placed directly in front of the loudspeaker when listening to music, this is very important. The wide dispersion characteristics also add to the flexibility of the KUBIK system, making it possible to hang or place it flush against the wall, or position it on a table in the middle of a room. Placement of the KUBIKs close to or against a wall is however recommended for optimum bass reproduction. This type of magnet enables the KUBIK FREE + XTRA system to handle more power and helps disperse the heat generated around the fast moving voice coil quicker, thereby reducing power compression. This in turn allows the tweeter to reproduce high frequencies with higher accuracy, giving the KUBIK system an impressively detailed sound. Besides strengthening the entire product, the aluminium also gives the cabinet a solid feel. The top of the KUBIK is crafted from the same aluminium and reveals the solid build of the KUBIK XTRA. Using aluminium makes it possible to not only create a compact cabinet that will be easy to place in any room, but also giving the KUBIK XTRA a simple yet iconic look. "The German hi-fi magazine, Stereoplay, has had a close encounter with our first active speaker, the KUBIK FREE, and the quality of the performance and price point gives it the label as “outstanding”."